Great news travelers! Here is another airline sale tickets for 2017 to 2018! If you are planning for a vacation in the last 2 months of 2017 or the first 3 months of 2018, check this new promo fares as low as P599 on domestic trips and P899 for international travel. Cheap Cebu Pacific promo tickets can be booked starting today until July 9, 2017. However, do not take chances as the sale seats are limited and may not be available on all flights. Get the lowest fare by booking fast! Low fares are good for travel November, December 2017; January, February and until March 15, 2018. You can use sale tickets from this promo for your Christmas or New Year holidays as well as early summer vacation. 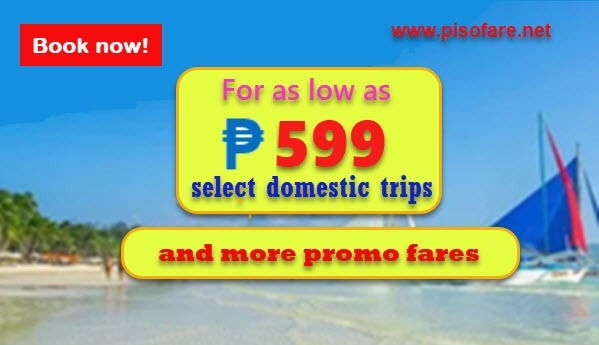 As low as P599 promo tickets are available for travel from Cagayan De Oro, Cebu, Clark, Davao and Iloilo to select routes in the Visayas and Mindanao. Fly from Manila to Bacolod or Cagayan De Oro for only P999. Many other local places also on promo. Going on foreign travel? 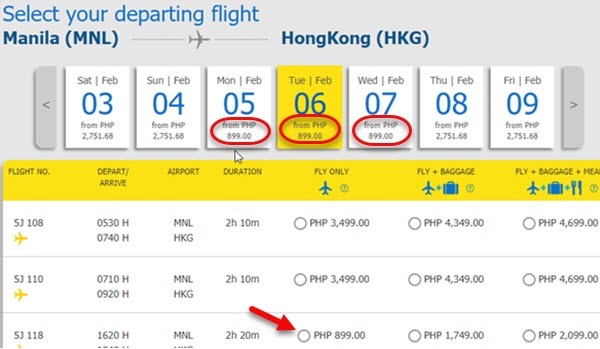 Grab Cebu Pacific international promo fares as low as P899 for Hong Kong flights from Manila or Clark. Trips from Manila to Taipei, Xiamen or Guangzhou cost only P1,299. 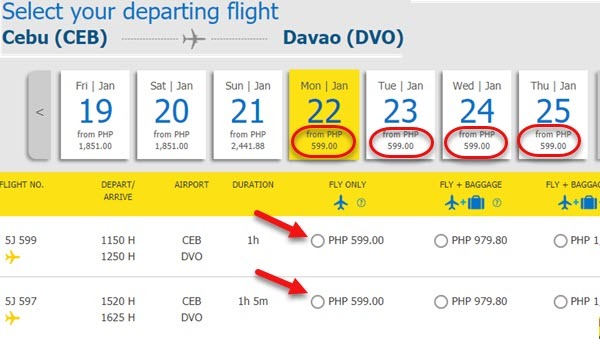 Cebu Pacific sale tickets are valid for one-way travel. Fares include base fare, Web Admin Fee, taxes & fees and 7 kilo cabin baggage. There is no checked baggage allowance, thus you may buy Prepaid Baggage Allowance to save on baggage fees. Other Add-ons like Travel Insurance, Seat Selector, Purchase of hot meals can be purchased during booking or up to 4 hours before your scheduled departure. Online booking of sale tickets via www.cebupacificair.com. Promo Code not needed when booking. 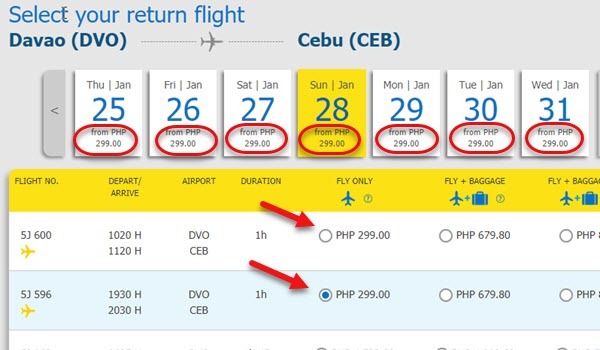 Here is a GUIDE ON BOOKING ONLINE CEBU PACIFIC PROMO FARES. Buy tickets directly at Cebu Pacific sale offices, booking offices and accredited travel agents. Contact the airline hotline in Manila at phone #: (02) 702 0888 or in Cebu at (032) 230 8888. Grab the Cebu Pacific affordable fares and fly to your desired vacation destination from November 2017 until March 15, 2018. Share this post and the promo fare information to your family members and friends. It’s time for great bonding and create wonderful memories in places included in your travel bucket list. Like us in Facebook: PISO FARE TICKET for more airline seat sale 2017 to 2018, travel tips and updates!!! 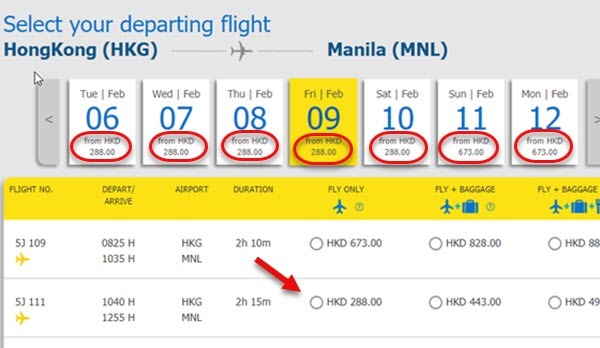 PAANO MAGKAROON NG PROMO CODE PARA MA AVAIL KO ITONG AIR TICKET PROMO?